From the Courier Post: CAMDEN – Cooper University Health Care said Friday it “will no longer pursue the acquisition” of Our Lady of Lourdes Medical Center and other assets of a Catholic-run health system. The decision was made “regretfully” after “substantial and exhaustive due diligence,” the operator of Cooper University Hospital said in a statement. 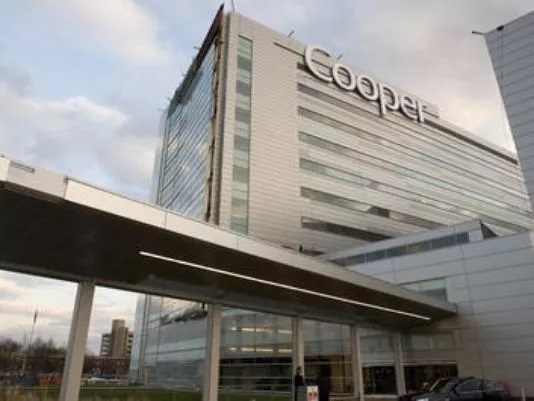 Camden-based Cooper signed a letter of intent Aug. 31 to acquire the New Jersey assets of Michigan-based Trinity Health. Those operations include Our Lady of Lourdes Medical Center in Camden and Lourdes Medical Center of Burlington County in Willingboro, which are run by Lourdes Health System. The transaction was also expected to include St. Francis Medical Center in Trenton. Executives on all sides expressed regret at the deal’s demise. “Our team has invested thousands of hours and millions of dollars in reviewing the proposed transaction,” said Cooper CEO Adrienne Kirby. Cooper’s due diligence included “a comprehensive review of compliance, legal, regulatory, and operational issues,” the health system said. “We are disappointed,” Dr. Reginald Blaber, Lourdes’ president and CEO, and Dave Ricci, president at St. Francis, said in a statement. “We will continue to pursue strategic partnerships that are consistent with our mission to be a transforming and healing presence in our communities,” the statement continued. When the proposed deal was announced in August, Trinity said its New Jersey hospitals had “talked with several health systems” over the past year. “Continuing success for Lourdes and St. Francis depends on being part of a growing regional network with a broad presence in local communities,” Ben Carter, a representative of the Catholic health system, said at that time. The $135 million transaction had been expected to fund improvements and fuel growth at the Trinity hospitals. “Our focus remains on the people we serve,” they said. Cooper initially predicted the transaction would create South Jersey’s largest health system and the fourth largest in the state. The combined organizations would have had more than 12,000 employees, more than 130 medical offices and annual revenues of nearly $2 billion. Our Lady of Lourdes Medical Center in Camden is Trinity’s largest operation in South Jersey, with 340 licensed beds. Trinity has 169 beds at its Willingboro hospital and 238 licensed beds at its Trenton facility. Cooper, founded in 1887, has 635 beds. It employs 7,100 employees, including about 630 physicians. That compares to 3,900 workers, including 215 doctors, at the Lourdes health system and 1,100 employees, including 50 doctors, at the Trenton hospital.